ABU DHABI (WLS) -- A sailor from the western suburbs has died from non-combat injuries while serving overseas, U.S. Department of Defense officials said. 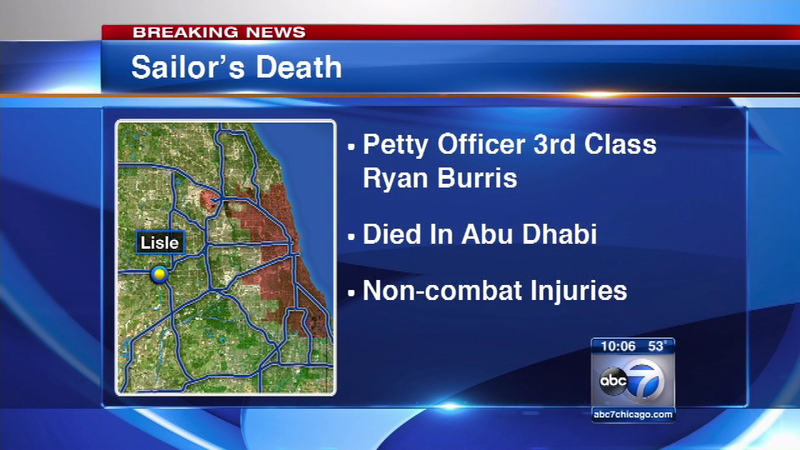 Petty Officer 3rd Class Ryan Burris, from Lisle, died Thursday in Abu Dhabi in the United Arab Emirates. Burris was 24. No other information regarding Burris' death has been released.